This American robin, Turdus migratorius, is spending the winter in my Brooklyn garden. 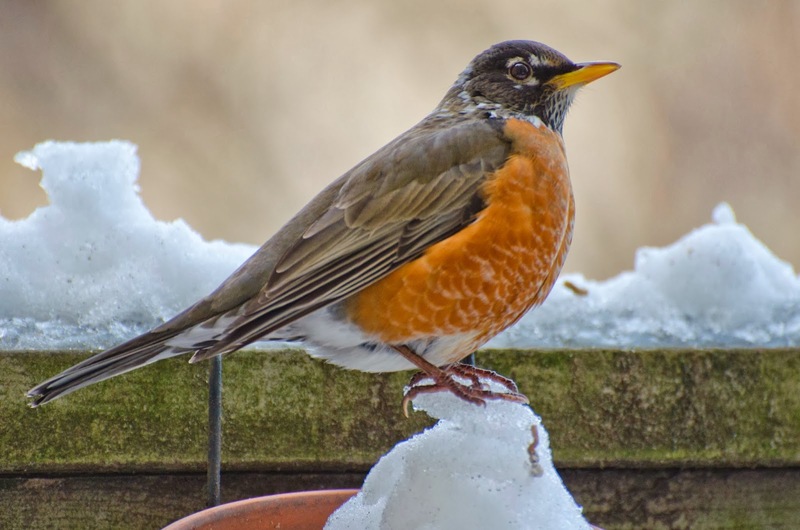 It is normal for some robins to not migrate south for winter. They switch from a diet of summer worms to dry fruit and berries. I give this one raisins, grapes, and apple slices. To read more about winter robins, click here for a previous detailed blog. "The snow doesn't give a soft white damn whom it touches." It would be great if there are more people like you! I'm taking care of some pigeons during the winter.